There were times when I could spend a lot of time in the kitchen cooking elaborate meals but it's becoming past tense. I don't have that luxury of dawdling over a single dish anymore. Instead, I approach the kitchen like a flash most of the time. I have two growing kids and I cannot permit myself to do that all the time. My solution is to go for quicker and simpler dishes that don't sacrifice in nutrients nor flavors because if I make something healthy that doesn't attract them, my effort will just go down the drain. So I spend time concocting one-pot meals. The kind of dish that just needs to be put together in one pot at the beginning, maybe a little bit of sautèing to take out the flavors of the ingredients then left alone to cook without so much attention. 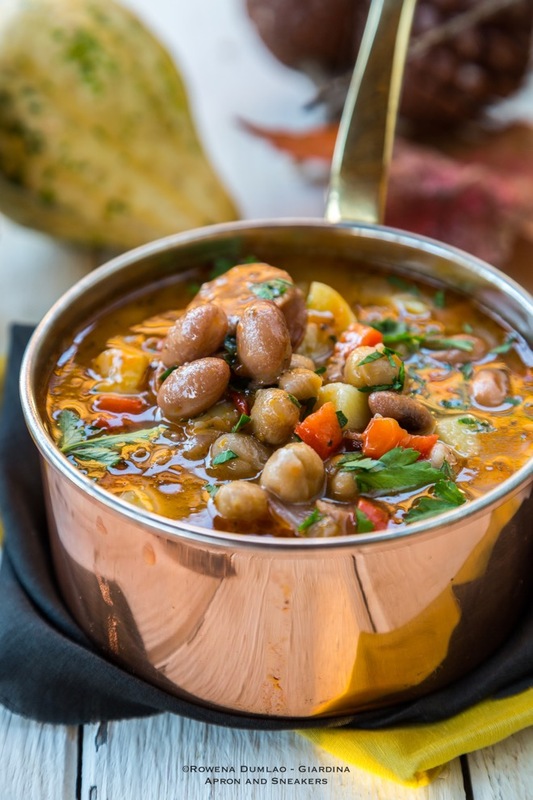 Just like how slow cookers would cook, only faster and tastier because in regular pots, the liquids can evaporate and the flavors intensify as the ingredients combine with each other with the heat. I cook a number of one-pot meals at home and one of the best-tasting dishes is this nutritious soup. It has chickpeas, cannellini beans (or use whatever is similar), bell peppers, potatoes and chorizo. The main taste comes from the chorizo, sautèed a bit to make its flavors come out before I put in all the other ingredients. 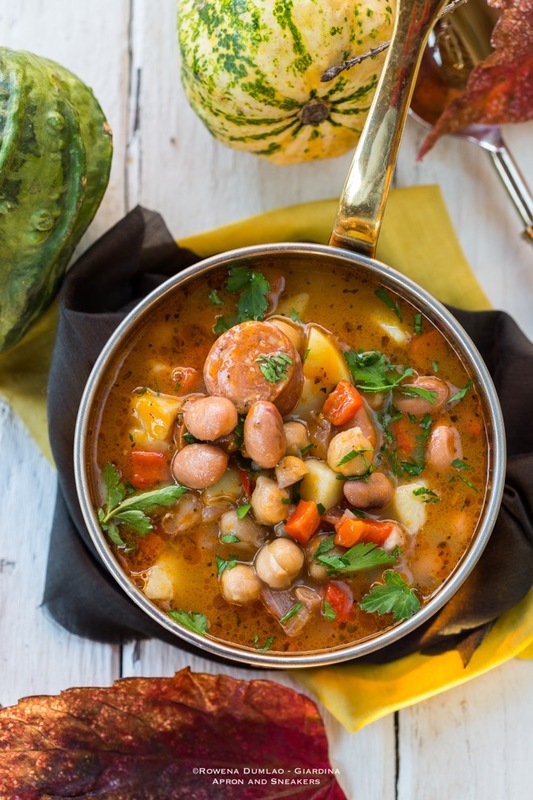 Both chickpeas and beans are rich in protein, fibers and a lot more nutrients while bell peppers are rich in vitamin C. Really, it is a hearty rich soup that you would like to have for your whole family because not only is it healthy but it is also flavorful and filling. Serve with toasted sourdough bread and you will have one complete dinner. 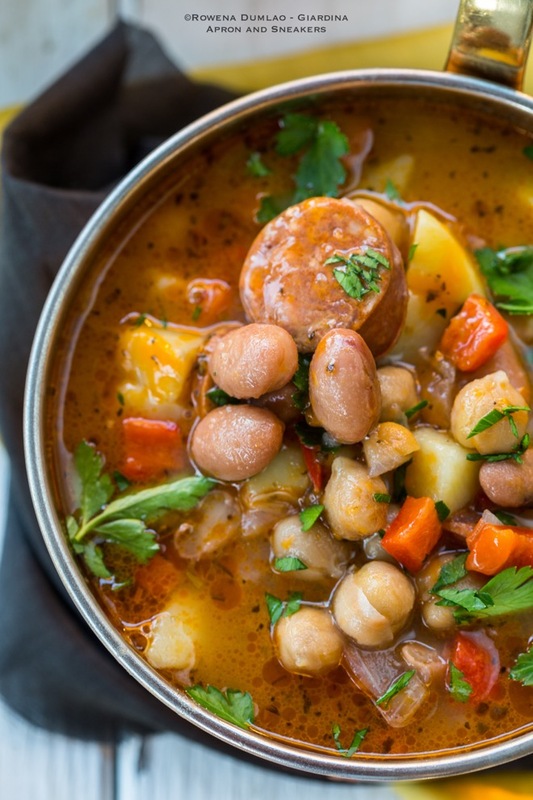 You can find the full recipe of this One-Pot Chickpea, Chorizo and Bean Soup at She Knows, a site I create recipes. For more of my recipes there, check out my Profile Page. Have a great week everyone!